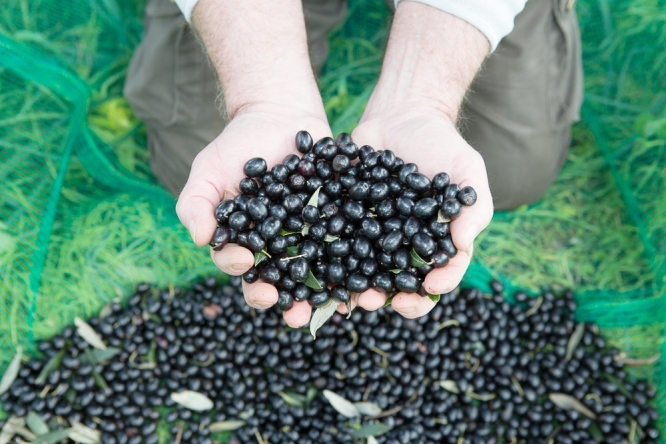 The very first olives in France are harvested in October, but the main period is from November to January, with some picked right up to May. The timing depends on the variety of tree, method of harvesting and the local climatic conditions. It is very unlikely, however, that the olive oil you buy will come from France as the country produces just 0.16% of the world’s olive oil, and just 4% of the oil consumed in France. Most of it comes from Spain. Overall olive oil prices are going up and due to climatic problems 2016/2017 was disastrous with just 3,000 tonnes produced compared to 6,000 tonnes in 2015/2016. It is thought this year’s harvest will be better. In France, concentration is mainly on oils of quality and 27% of oils have an AOP label. There are four regions: 66% is produced in PACA, 20% in Occitanie, 10% in Auvergne Rhône-Alpes and 4% in Corsica.